Kaspersky Internet Security for Windows XP - a set of modules for comprehensive protection of user data. The application can detect any intrusion attempts without authorization in the system, uses two-level encryption of its own kernel, includes a network firewall with a set of presets for filtering traffic. The program has a module for blocking spam with support for machine learning, is able to identify suspicious code, conduct a quick check of the memory and autoload areas of the system. The protection tool is able to integrate into email clients and browsers, it can show tips for safe networking. 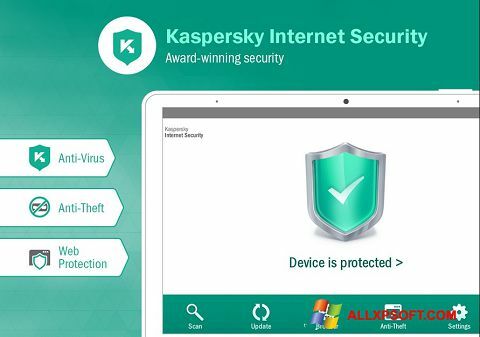 You can free download Kaspersky Internet Security official latest version for Windows XP in English.